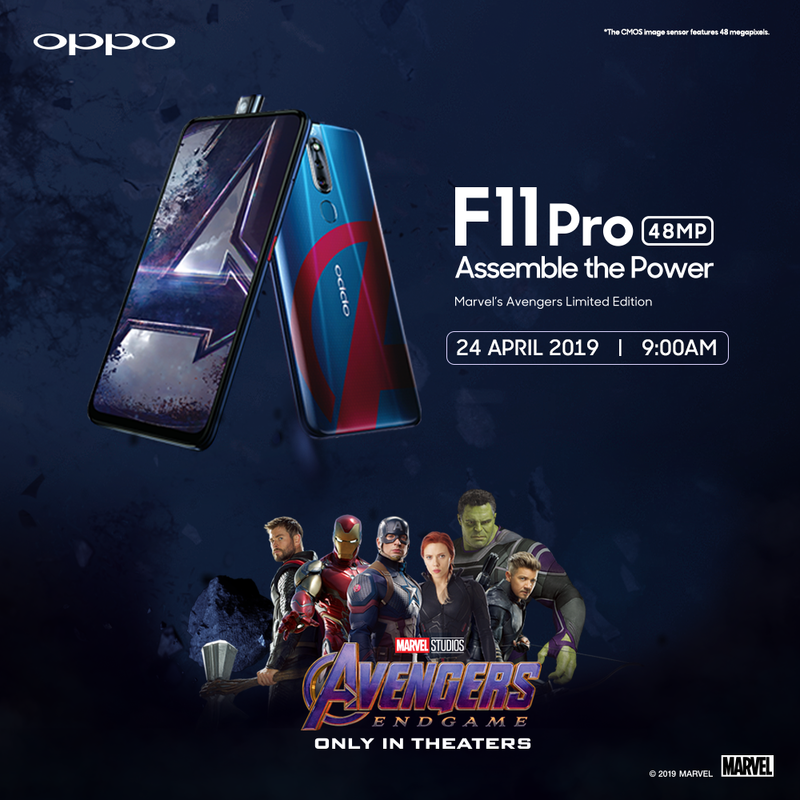 OPPO, a leading global smartphone brand, will be launching its new special edition of the OPPO F11 Pro in collaboration with Marvel Studios’ upcoming movie – Avengers: Endgame on 24th April 2019. The OPPO F11Pro Marvel’s Avengers Limited Edition is inspired by the latest superhero saga. Aside from the its sleek Marvel design and increased storage, the OPPO F11 Pro Marvel’s Avengers Limited Edition embodies the full specs of the OPPO F11 Pro. For the Marvel edition of the OPPO F11 Pro also offers the latest innovative camera technology which captures brilliant portraits in low light just like a how superhero device should be. The OPPO F11 Pro Marvel’s Avengers Limited Edition is a sleek tie-in for the massively popular superhero franchise. User are set shine like true Super Heroes with this latest addition by OPPO.